Due to the success of last year's Spread Love Charity Concert series of activities, the sexiest thing in in Korea is back! Presenting, MR. & MS. SUMMER 2018. Are you fit and hot? 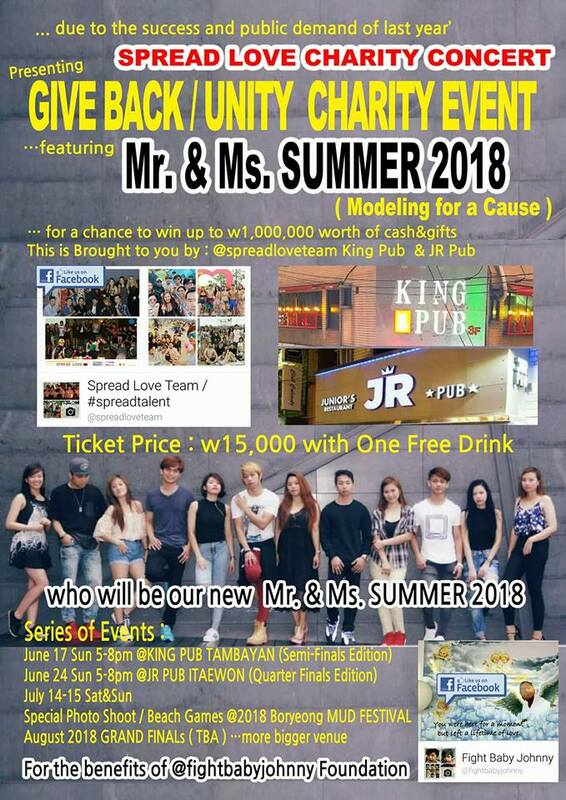 Then join this modeling for a cause activity for Fight Baby Johnny child cancer patients and get a chance to win up to 1,000,000 worth of cash and gift items. For more information, contact Karen at (82) 010-4072-4940 or visit Spread Love Team facebook page.